"Your body is your subconscious mind and you can't heal it by talk alone." - Candace Pert. You may be unaware of your unconscious desires and how they affect your actions. You may know what the right choices are but choose comfort at the expense of your genuine desires. You need not criticize yourself to explore your challenges and make changes in your life. You are responsible for navigating life despite the wounds of your past. My specialty is in recovering from anxiety, depression, and complex trauma and learning to practice embodied healing, self-compassion, and honoring your limits and boundaries. To this end, I utilize an integrative treatment approach in my practice. You are responsible for navigating life despite the wounds of your past. My specialty is in recovering from anxiety, depression, and complex trauma and learning to practice embodied healing, self-compassion, and honoring your limits and boundaries. To this end, I utilize an integrative treatment approach in my practice. It takes courage to reach out and say "I want more for myself." You can be proud of yourself for doing what many don't, asking for help and taking action to receive it. The kind of patients I work with are those who do just that take action and heal. Carey Allen has been a provider of various healing arts for over 10 years. She is a Yoga and Qigong teacher and an Intuitive Energy Medicine practitioner. 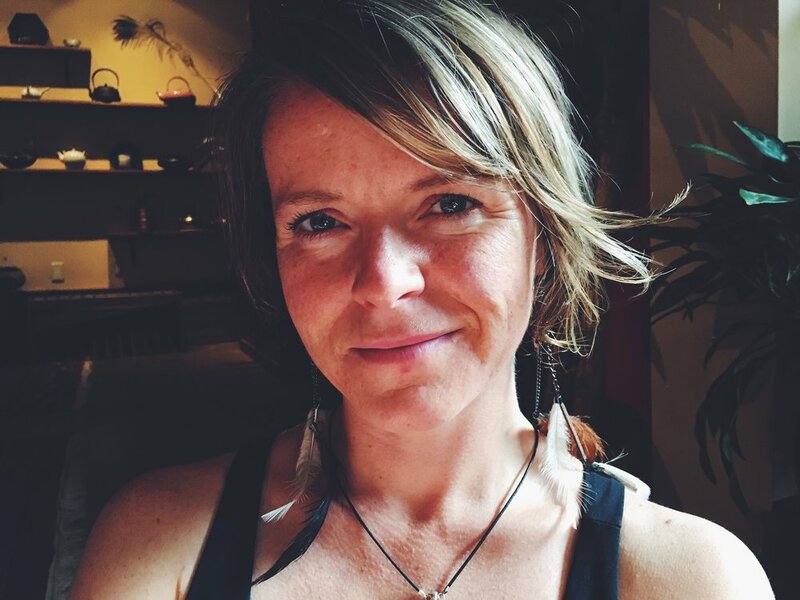 Carey has trainings in Reiki, Reconnective Healing, Shamanism, Psych-K, EFT, Intuitive Touch, and is a graduate from Intuitive Way. She tunes into universal source energy and allows that to guide her in bringing forth the appropriate energetic attunement for each being. She also empowers individuals to tap into their inner wisdom and heart so they can authentically live their truth and be well. I work with the modalities of Biofield Tuning, various techniques of energy work as well as flower essences and crystals/stones. I was first drawn to working with subtle energy in 2001 through experiencing the deep nurturing power of Reiki. That same year, I had a profound shift through the power of sound that propelled me on a journey that continues today. I love working and connecting with others through my hands. Through these modalities, I hope to help you find physical and emotional resiliency and the capacity to affect positive change in your life. Sessions are held in-person in San Francisco. Distance sessions may also be available. Rhiannon Morsch is a multi-dimensional healing guide and intuitive channel. She is highly trained in a broad range of healing modalities, including Depth Hypnosis, Shamanic Methods (through a Celtic lens), and Energy Medicine. She is also a Reiki Master and skilled Tarot Reader. 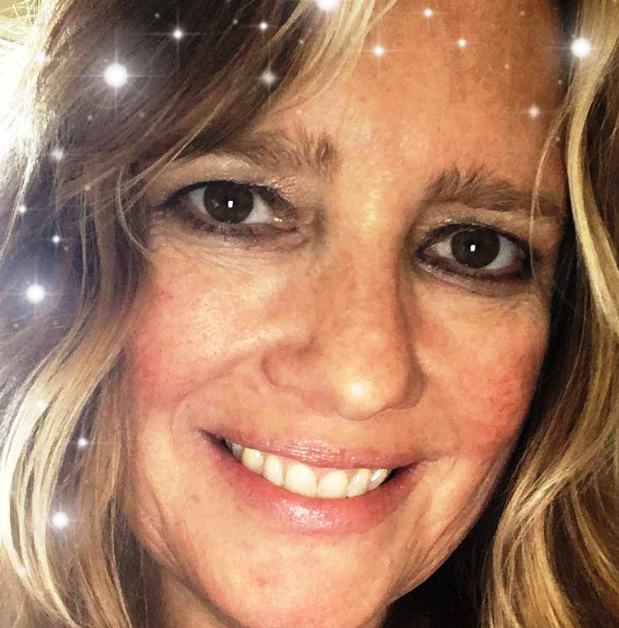 Rhiannon’s sessions allow for healing of childhood wounds, releasing ancestral patterns and inter-generational trauma, past-life regressions and resolving karmic patterns, healing of womb/birth experiences, reprogramming limiting beliefs and patterns, expanding intuitive development, spirit-guide connection, soul-retrieval, releasing energetic blockages and much more. Rhiannon also offers a bi-monthly group healing and journey circle called The Knowing, which is offered both live and virtually. Her path of service includes co-ordinating donation-based Shamanic Healing Clinics in Berkeley, CA, and she is also involved with community stewardship through the Space Clearing Society, a collective of healers who serve the greater community by clearing energetic imbalances and psychic residue from healing arts spaces and homes around the Bay Area. Rhiannon has a private healing practice in Berkeley, CA, and also works over distance with clients from all over the world. For more info visit www.rhiannonmorsch.com. Shelby Leigh helps clear out your stress on all auric levels and balances your chakras! Her light touch of acupressure and mudras helps aid in clearing out your deep levels of stress! During chakra balancing and healing sessions, in-depth information is brought through from your angels regarding the energetic component of physical or emotional concerns and how your chakras influence the circumstances in your life. Shelby gives you divine guidance from your angels. All seven chakras are balanced with crystals and light acupressure touch to address patterns of negative energy and false limitations that may contribute to the problems one is facing. Chakra healing awakens conscious awareness to core issues and enhances self-healing. The sessions are unique, educational, emotionally purging and life transforming. Miraculous results have been reported by many. Shelby looks forward to working with you and being part of your healing experience!! Ankke Orryn is an integrative health therapist, medical intuitive, spiritual medium/channel, and empathic energy healer and counselor; a natural health advocate based in whole foods nutrition and nourishment psychology, a family/systemic constellations facilitator, and a teacher of embodied contemplative movement practices, meditation, and yoga. She also performs as a dancer and actor from time to time. Ankke holds a BA in Dance and Movement Studies from Naropa University and a certificate in Integrative Clinical Nutrition Therapy from Seven Bowls School of Nutrition, Nourishment, and Healing where she studied western, eastern, functional, and plant medicine rooted in the psychology of nourishment, as well as herbalism, energy healing, and shamanic practices. Since then, she has been diligently studying and developing her innate abilities as a psychic, medium, channel, and medical intuitive. After many years of practice, she completed a 200 hour yoga teacher training this May. In her search to find the most helpful therapies for her clients, Ankke has explored and integrated many modalities of mind, body and spirit into a truly holistic way of addressing the challenges of those she works with. She is a unique holistic health professional who uses an alchemy of the aforementioned skills and tools, as well as others, in order to help her clients heal, transform, and grow into their potential. She is practical and science-based as well as intuitive, and all her work is tailored to meet the unique needs of each individual she works with. Ankke was born in Manitoba, Canada, and moved to the "Untied" States of America during middle school. After spending many years in confusion and suffering she eventually came to the conclusion that she and everything else in the universe is nothing more or less than absolute love, joy, and freedom (even though it doesn't always feel like it to our limited human ego brains). Her explorations of holistic health and wellness have penetrated many levels of mind/body/spirit/soul connection, opening her to the realization that we have to bring all of ourselves to the table in order to truly heal and grow. She gently and compassionately encourages her clients to love themselves, to get real with themselves, and to be curious about their own experience of the human condition. In this way, Ankke hopes to help others heal and realize their true potential via the understanding that we've chosen to be here in these human bodies in order to experience Life fully through the vessel of our embodiment. It is her endeavor to encourage, guide, and support her clients in living a vibrant, healthy, grateful lifestyle full of Love and appreciation. Her deepest desire is to help people let go of what is keeping them stuck and in pain, and to support them in realizing their happiest, healthiest, most free and radiant selves! Everyday Ritualist is a line of soul healing crystal necklaces, handmade to support you on your unique journey to live in alignment with who you are, who you are becoming, and who you have always been. Each crystal in the jewelry line is hand selected based on its energy, beauty and fit for the types of energetic support that Everyday Ritualist customers seek the most. Each crystal is cleared and charged to support you once you receive it. With a background in movement therapy and diﬀerent body-mind modalities, I came frst upon Breema in 1998. The nurturing touch and the genuine atmosphere of acceptance immediately opened my interest for studying and learning more. Breema clearly understands and supports simple practices for body, mind and feeling to work together in order to live a harmonious life. The Essence of Breema is to support us to be present. As a practitioner, my aim is to be present and to support my clients to be present. In the present, when we are open to experience where we are, without judgment, there is the possibility to actively and fully participate in life. I oﬀer sessions at the Breema Clinic in Oakland and teach both at the Breema Center and internationally. SAMMAY is a choreographer/producer and interdisciplinary artist of Kapampangan, Ilokano, and Bikol descent who envisions a future where our indigenous traditions co-exist with(in) our urban landscapes. Born and raised in LA County/Tongva Territory and now a settler in San Francisco/Yelamu, she invokes ancestral healing and ritual within/around the intersection of performance art, dance theatre, and multimedia; their role as kinetic storyteller and healer is ancient medicine from their maternal lineage. SAMMAY is the Founding Artistic Director of URBAN x INDIGENOUS and Core Member of Embodiment Project. 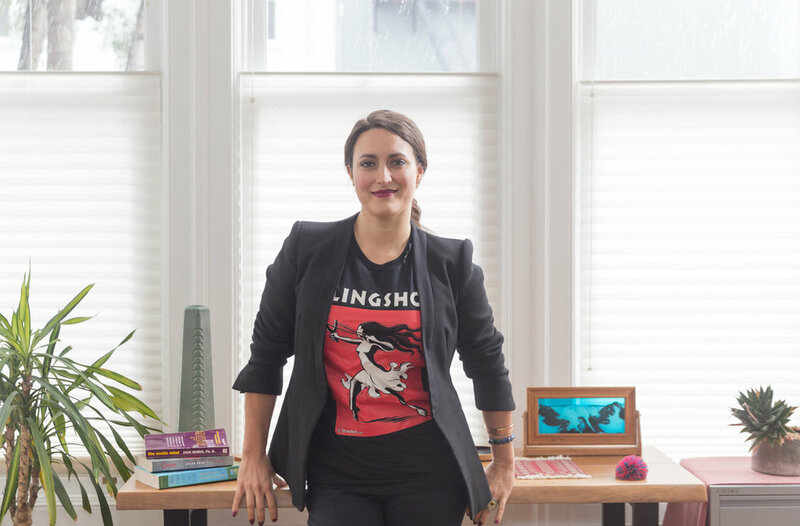 She has been featured by Dance Mission Theater, Red Poppy Art House, CounterPulse, Kearny Street Workshop, and East Meets West Festival among others. She is a three-time recipient of the "Presented by APICC" Artist Award; YBCA Public Imagination Fellow 2018; and first-ever Featured Artist for United States of Asian America Festival 2018. SAMMAY was a cultural ambassador for the first ever Indigenous Dance Forum in New York/Lenapehoking in April 2016 directed by Jack Gray and is a part of the global movement towards reindigenization through indigenous contemporary arts collective, I Moving Lab. Upcoming projects include DALUYAN - a Pilipinx-centered embodied storytelling workshop series in collaboration with Bindlestiff Studio - and BUSCARTE - an intercultural investigation with José Navarette, Debby Kachiyama, and Byb Chanel Bibene exploring disappearance across respective ancestral lands. SAMMAY holds a B.A. in Media Studies and Sociology with minors in Dance & Performance Studies and Global Poverty & Practice from UC Berkeley. Tanya Corona, specializes in Chakra Clearing and Alignment, 12 Strand DNA Activation, Soul Retrieval and Life Purpose Activation. I am Gregory Wilson, and Mind-Body Attunement is my approach to meditation based on the theory that calming the mind begins with calming the body. I was introduced to meditation as part of a massage therapy certification program, and I began to use mediation as a way to cope with my anxiety. Working as a massage therapist at a spa gave me lots of experience dealing with the way that people hold tension in the body. I made the connection that the emotional stress caused by my daily bouts of anxiety was manifesting as tension in my body, and that if I was able to release that tension, my mental state invariably improved. I began to experiment with visualization, self-hypnosis, and reiki healing as a way to relieve that tension. Over a short period of time I have enjoyed a decrease in negative emotional response, increased attention span, and I am less prone to bodily tension. Mind-Body Attunement is the vehicle that I am using to share what I have learned. An intuitive coach, artist, mental health professional, and holistic weirdo, I blend my gifts as an empath and intuitive to help guide people through the areas of their life where they feel stuck or lost. I use a blend of spirituality and energy healing with personal development. Together, we use an approach that looks at your strengths to help you reach your goals. Have you ever felt lost and in need of guidance, but guidance felt illusive and vague? This workshop may be the technique that gets you back on track and open to receive. In this workshop, I will take you through a gentle yet powerful process to connect you to your inner wisdom using guided meditation and expressive arts. Aaron Gonzales is a natural intuitive and has always felt a calling toward the spiritual healing arts. He began taking intuitive development classes in 2013 at Angel Light School of Metaphysics in Berkeley, through which he learned many techniques that include intuitive readings, angel/spirit guide channeling, and clearing energetic blockages. In 2015, he began practicing hands-on energy healing and quickly became an Usui Reiki Master healer and completed the Quantum Touch Level 1 course. Aaron’s goal is to help his clients readjust their energy to become more in tune with their natural energetic vibration. He is a simple, practical, yet effective healer that uses traditional and intuitively-guided methods in his healing work. Becca Davis began her personal journey into the holistic healing arts when she was introduced to yoga in 2006. Since then, she has received her Yoga teacher training certification completing 500 hours of training, and is a Reiki Master Teacher. Currently, studying under her mentor Sariah Sizemore, she is reawakening her abilities as a shamanic health coach. Becca brings her eclectic knowledge base and experience into her healing sessions. She blends her deep love for ancient eastern traditions, and the study of many nature-based traditions into powerful, embodied explorations of soul. Becca offers a unique and personalized healing session for each individual she works with using a blend of multiple healing modalities. By acting as a conduit for energy, she invokes sacred symbols and universal powers to assist in enhancing the radiance of one’s aura, clearing, harmonizing and activating the chakras, stimulating the senses and restoring balance. A safe and nurturing environment is established for individuals to tune into their inner wisdom, access higher levels of consciousness and realign with their true hearts desires. They awaken with clarity and states of transcendence through divine order to accelerate further along their illuminated path. She is inspired to serve others along their journey to finding their highest potential. Anthony Compagnone and Renee Blodgett are the twin souls behind BlueSoul EARTH, which is dedicated to elevating global consciousness and awakening through channeling the Other Side, events, content and healing in order to awaken and ignite your Soul’s Purpose. Blending their skills and passions together, they lead Blue Soul Circles to bring High Light Beings from the Spiritual Realm through with wisdom and messages to those on their life path. Renee acts as a vessel for Spirit and grounding cord during their work whereas Anthony’s unique gift as a trance medium allows his Soul to embody Spirit. They are both certified in Reiki as well and passionate about helping others let go of fear. As founder of Speech Synergy, Anthony has spent more than two decades as a bilingual speech and language pathologist & therapist where he helps people and children with linguistic, speech and language needs. He is also a talented martial artist and has taught a number of disciplines, his favorites being Chinese Kungfu and Kempo. Renee’s 25 years of marketing and communications as founder of Magic Sauce Media are now directed to helping individuals and consciousness-based businesses who lead with purpose and heart. Renee is also founder of We Blog the World, an online magazine dedicated to Transformative Travel, ranked a top digital media influencer, is a curator of TEDxBerkeley and has published five photo books. Over 30 years experience in health and wellness. Dr. Helena’s Bay Area practice has helped thousands of patients looking for an integrative and naturopathic approach to wellness. Specializing in nutritional approaches to pain management, sports psychology and complementary techniques, Dr. Riess has been able to use her background in psychology, nutrition, Chinese medicine and naturopathy to help clients throughout the United States improve their health or recover from debilitating injuries. She holds a Ph.D. from CIIS in San Francisco and undergraduate degrees from San Francisco State University. Dr. Helena and Eric have extensive experience in a variety of fields, but they will be demonstrating Bemer technology.The Bemer system, a full body mat and additional attachments for targeted uses, has been shown to increase the body’s micro-circulation by almost 30%, improving it’s ability to heal, as well as recover from acute injuries and chronic illnesses. The Bemer is used by healthcare professionals from massage therapists to chiropractors and acupuncturists (and even veterinarians) to enhance their specialities. Attendees will have an opportunity to try out the Bemer and discover how it can improve their health and wellness. Over 30 years of business and professional experience, Eric is a Building Biologist, specializing in making your home a healthy environment for you and your family. In addition, he is a certified personal/executive coach and trainer with over 25 years of management experience. He holds an undergraduate degree from Bucknell University in Lewisburg, PA and an MBA from Dominican University in San Rafael. He received his coaching training at JFK University In California, and at the College of Executive Coaching in Santa Barbara. He has studied with the International Institute for Building Biology & Ecology. Dr. Helena and Eric have extensive experience in a variety of fields, but they will be demonstrating Bemer technology.The Bemer system, a full body mat and additional attachments for targeted uses, has been shown to increase the body’s micro-circulation by almost 30%, improving it’s ability to heal, as well as recover from acute injuries and chronic illnesses. The Bemer is used by health care professionals from massage therapists to chiropractors and acupuncturists (and even veterinarians) to enhance their specialities. Attendees will have an opportunity to try out the Bemer and discover how it can improve their health and wellness. Times are tough. It is becoming increasingly challenging to exist in our current political climate and we are facing new battles that we must fight every day. Now, more than ever, it is important to gather together in community for healing and to care for ourselves during these trying times. We cannot serve from an empty cup and as Audre Lorde said, “Caring for myself is not self-indulgence, it is self-preservation, and that is an act of political warfare." You are invited to join Annie in learning how to use sound and song to help revitalize and care for your warrior spirit. In this workshop, you will gain tools for self-care and preservation as well as experience a sound healing meditation to relax and soothe your soul. Annie Herring, MA is a singer, poet, priestess, theater artist, and certified sound healing practitioner. She holds her Master’s Degree in Women’s Spirituality and a Certification in Sound, Voice and Music Healing from The California Institute of Integral Studies. Annie’s work focuses on guiding people to the healing power of their voice and using sound and song to transform and heal. Denise Berezonsky offers Breema sessions, which include bodywork and Self-Breema movement to support being present in the moment. Seeing the transformative effect of Breema’s Nine Principles of Harmony on her own life, she wants to help as many people as she can discover Breema, so they can increase their vitality, well-being, and receive support for their relationship to themselves and to others. She has maintained an active national and international teaching schedule since 1994 and is co-author of Self-Breema: Exercises for Harmonious Life, Associate Director of the Breema Clinic and a Senior Staff Instructor at the Breema Center in Oakland. A deep Passion for travel and a deep grounded love of Tulum and its biosphere inspired Laura Kyriazis, founder of Gitana, to launch BOHO Gitana, "gypsy", retail line of yoga- inspired jewelry and goddess resort clothing lines handmade by the women of Tulum. Each good manufactured by hand representing the traditions of the Mayan women who are modernizing their traditions into beautiful pieces that inspire spiritual freedom, love, and movement of the feminine mystique. All products are made by establishing fair trade agreements based on women's trust, solidarity and mutual inspiration. We are helping women of the Mayan communities adapt an entrepreneurial spirit for themselves and their families in Coba and Tulum. Join Suzanne Astar, licensed massage therapist, acupressurist and organic movement facilitator in a session devoted to tapping into your inner harmony. Our work flows with your natural energy currents, relieving imbalances with ease. Session will include meridian and mind assessment, massage and stretching. Carol Whitney is a master practitioner and teacher of Pranashakthi Mahavidya, an ancient energetic modality from India which utilizes infinite dimensions and connection to cosmic consciousness/source energy to remove suffering in all its forms. This type of healing rapidly changes physical and mental imbalances. Carol is highly claire-sentient, has knowing, and can sense intuitively how to specifically help a person or animal, based on the Divine guidance she receives. She has the ability to hold space at a deep level for peace, unconditional love and transformation. Devotion, trust, surrender, faith, and understanding are all elements that work to create the vibrational environment for a person to shift to wellness or to just feel lighter. She works with crystals, can call in dolphin energies via animal communication and uses sacred geometry as well as many other techniques.